Ross Barnes explains there is an ethical issue as well as a financial one in reprocessing catalysts. You’ve most likely heard the old saying: where there’s muck there’s brass”. This might be true, but a more accurate phrase could be: “There’s money where there is hazardous waste”. 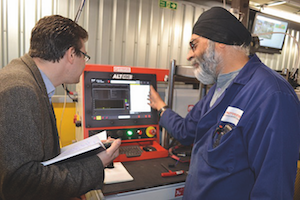 This is the case at Autoparts Precious Metals, which has become one of the first companies authorised to deal with RCF matting. RCF matting is a toxic substance found in catalytic converters and it is part of the thermal insulation that separates the core of the device and the outer can that holds it onto the exhaust system. Think of the most deadly kind of asbestos and you are on the right lines. The good news is that RCF is only found in a minority of catalysts. The bad news is that no-one knows which ones as there was never any requirement on the part of the producers to declare or label products with the material. As such, every single catalyst that is recycled needs to be treated the same way. You can’t differentiate” said Ross Barnes, MD of Autoparts Precious Metals. “All catalytic converters have to be treated as hazardous waste if they are going to be smelted for material extraction”. He adds that a typical converter weighing four kilos will have no more than fifty grammes of matting in it, but that is not the point. 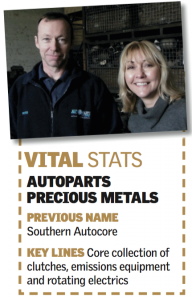 It is a known carcinogen, and Autoparts Precious Metals is one of a tiny handful of recyclers in the UK that are allowed to deal with it. However, before this can happen there is a certain amount of paperwork to do. “The first thing was to apply for a variation permit” said Barnes. “We are a processor, so we had to apply for an entirely new hazardous waste handling permit, which we now have and we are one of the only few in the country to have it to date”. The legislation was late in coming as the problem has been known about for years. “Catalysts have always been hazardous waste” explains Barnes, adding that the Environment Agency that have introduced the changes in the rules have themselves been seeking advice on the best course of action. Barnes explains that getting hold of the permit was difficult. “We had to use a consultant” he said, adding that the plant had to be thoroughly inspected. “We’ve had to have our extractors checked and monitored, but they are all up to spec as they had been serviced regularly and all cleared first time”. Not all of the catalysts and DPFs that come into Autoparts are smelted. “As a core dealer, we purchase a lot of DPFs for re-use” he said, explaining that complete units destined for re-use simply require a transfer note. We’re keen to see this operation for ourselves, so accompanied by Barnes and Purchase Manager Tina Courtnell we head into the main hangar, where core is stored. The main warehouse is neat and well ordered, although we are quite pleased to see that the smelting of the scrap cats does not take place on site. “Once separated the metal goes off for scrap steel – it is non hazardous, while the ceramic, which is coated with washcoat and precious metals goes off to our partner’s smelter in Germany and then the RCF has to be properly disposed of” Barnes assures us. “When it leaves us there is a consignment note and we’ve separated the hazardous part from it and the rest goes back into the system”. Although RCF is the conversation of the day, recycling catalysts and DPFs is only a small part of the operation. 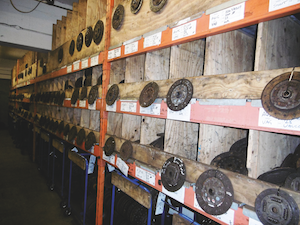 ABS units, A/C compressors, clutches, EGR valves and electronic power steering drives are just a few of the parts that are collected for remanufacture. The warehouse is built in a courtyard with a number of sub- units around the perimeter that have various uses. On our visit, we were interested to see that one of these units was busy re-facing used clutch kits, which is still popular for clutches fitted to performance cars (we saw a parts trolley full of clutches for the Subaru Impreza). Indeed, clutches were the original part of the business as the company was established to arrange the collection of used clutches back in 1994 when Barnes saw parts in a garage he was working in getting thrown in the bin. 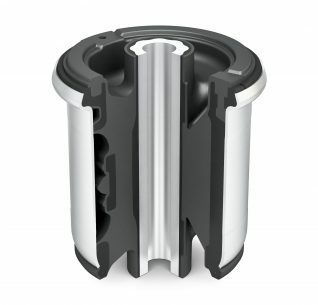 “At the time, there was hardly anyone collecting core for remanufacturing. 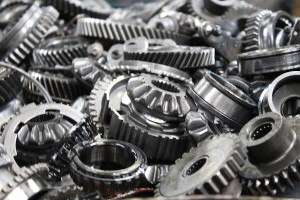 Scrap was about £5 per tonne and clutches were just getting thrown in the bin”. 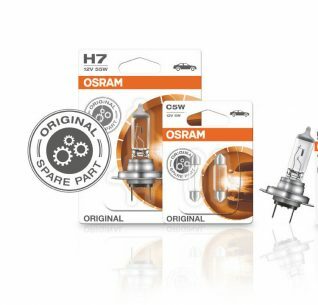 By contrast, prices for parts were still high in the nineties as there was very little in the way of cheap components from the Far East on the market at the time, so it was good business to supply those that were able to remanufacture with quality core. However, it wasn’t just the financial issue that appealed to Barnes. There was an ethical element to it as well. “My boss said to me ‘I can see us opening our landfills one day and mining them’. We’re not there yet, but it was forward thinking. How can you mine ore on the other side of the world and make it into starters, alternators or clutches… and then just throw them? You’ve only got to get them out of the ground somewhere else and it is going to run dry” he said. “That’s what we’ve been doing with catalytic converters, because precious metals make it viable”. 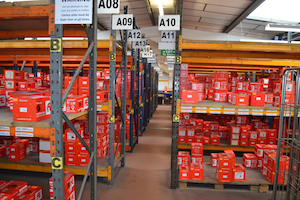 Equally, high-tech parts such as ECUs, actuators and ABS systems are collected, for which the firm has been working with factors, where parts are purchased as a ‘sort of package’. 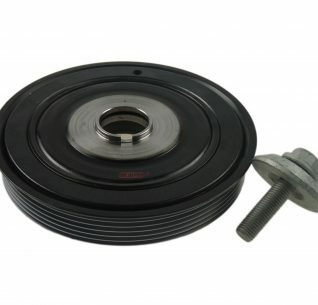 “We can even offer a service where the customer can box parts up and send them to us” said Barnes in conclusion. “It is worth money, and more than that, if it can be used somewhere then it should be. 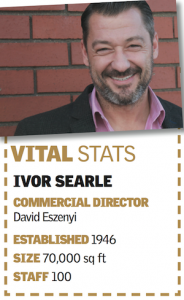 Ivor Searle’s history began 60 years ago when the eponymous agricultural engineer made his mark on the industry by setting up his engine reconditioning business in the village of Wicken. After Searle’s passing in 1956, sons Colin and Michael eventually joined the business rebranding The Wicken Crankshaft and Bearing Company to Ivor Searle Ltd. The duo relocated to the 10,000 sq ft. Soham-based facility in 1983 where they went on to sell remanufactured engines across the UK. “Colin decided to learn more about the business and so he carried it on”, said Commercial Director David Eszenyi: “He thought the key is stock availability selling an engine off the shelf rather than waiting for it to come in and fix, which was a bit of a turning point for the company”. 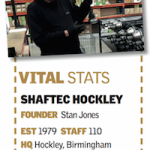 33 years later, Searle’s vision lives on bigger and better than before with an extra factory space operating a stones throw from the main building; specialising in rebuilding engines and cylinder heads back to OE spec. Meanwhile, a 15,000 sq ft. facility was opened in 2012 behind the existing factory for the production of reman gearboxes and turbochargers. With around 2,000 customer accounts on its books, the firm has found the recently installed Ecat trading platform along with a revamped e-commerce website that draws data from Car Web and MAM has helped to generate more business while taking some pressure off sales staff who deal with around 500 calls each day. Eszenyi notes: “By the time you put the phone down, we might get five to six quotes from the same registration numbers from garages of customers ringing around trying to find the best price”. Our tour started with the Head Shop, which might sound very new-age, but in fact is concerned with the top end of engines. Eszenyi walked us through the procedure: “We have a stringent process where we strip the unit down. Once it is down to its component parts, they are machine tested, crack checked and put back to OE specification”, he said. 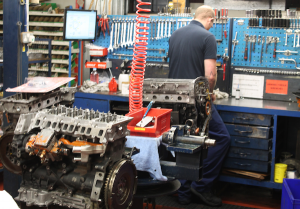 “We provide an engine rebuild service where we pick up the engine with a 10 day turn around and deliver it back to reman spec”. He explained that the company could deal with many types of engine, ranging from popular classics to LCV diesel and petrol models up to four litres. The Head Shop was coherent in layout with the first room used as a stripping bay to break down the engine components before undergoing a deep steam and clean process. Eszenyi added: “We treat pistons as consumable parts and they all go in the bin along with the gaskets and bearings, before putting new ones in”. There was a lot of rattling and twanging further on as the team re-built and sprayed the engines and cylinder heads in the workshop area. We managed to get a close up view of a reman built V12 classic Jaguar engine before it was packaged and sent out for distribution. When asked about the training involved, Eszenyi said: “Cambridge has been a predominately growing area in engineering. Here it’s growing so you’ve got no choice but to train everybody properly as long as they’ve got the mechanical knowledge”. The firm has also taken on apprentices from colleges in and around the Cambridgeshire area to provide them with the necessary skills to carry out engineering on reman components. 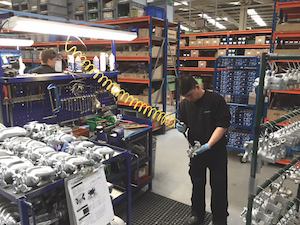 The final stop was the turbocharger and gearbox factory, which followed the same order, as the parts were broken down, cleaned, rebuilt and re-sprayed before they were boxed and sent off to stockists. Eszenyi wrapped up the tour: “Every garage in the network will know Ivor Searle for engines, but it’s the aftercare where we win a lot of work. When something goes wrong we deal with it. We are like the Waitrose of the aftermarket”. He added: “The warranty staff fix so many problems over the phone thanks to their in-depth experience and the aftercare service we provide”. The company has some projects lined up with plans to expand its export business further into Europe by introducing next day delivery to its European customers. Eszenyi explained: “We are going to push further exports into Europe because the market is healthy as there is a lack of reman product”. He continued: “Depending on the courier, it could take four to five days to go there so we want to supply next day delivery as we do in the UK”. 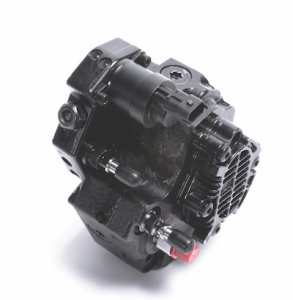 Eszenyi said the reman firm hasn’t ruled out producing alternators, brake calipers and axles further down the line, but for now, it will continue bulking out its fastest selling lines and distribution to the UK and Europe. 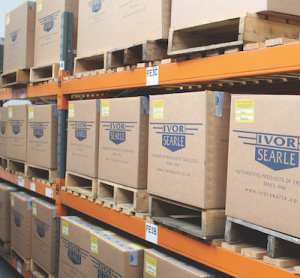 We look forward to catching up again with the team at Ivor Searle soon. 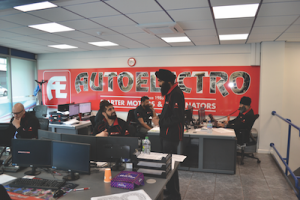 Bradford-based remanufacturer Autoelectro is marking thirty years in business at the moment. Like so many companies that have reached a significant number, it has engaged the services of a PR agent to make sure the world knows about it and has bought in a stack of natty red DAB radios with company branding to dish out to selected customers and suppliers. The company ran into an issue between management and the unions, which gave Santokh Bhogal a predicament. “In 1986 there had been strikes and he felt unhappy about it” said Tony. “The company had a good atmosphere, but after the industrial problems he didn’t feel the same, so he felt it was the right time to run the family business”. 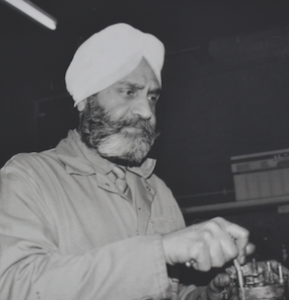 As you’ll read elsewhere in the issue, there was no security in just being a me-too repairer, and by the early 1990s the firm had outgrown it’s origins in a lock-up and was offering a full remanufacturing service based from an industrial unit in Bradford. 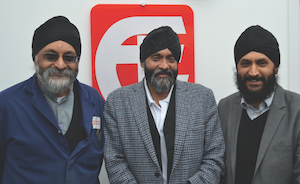 Mr Bhogal Snr was joined by his sons, Tony, Paul and Nicky who all had different skill sets that complemented the business well. Tony had done a degree in mine engineering, but the mid-1980s were not a great time to enter that industry. 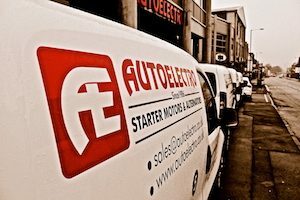 Paul studied Business Management, so he was well suited to joining the firm at a time of expansion, while Nicky qualified as an auto electrician, which had obvious benefits at a firm named Autoelectro. However, getting the product on the shelves proved to be a complex exercise. 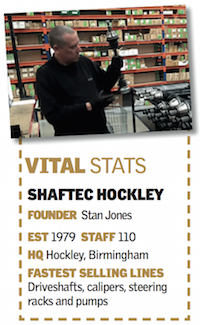 “The motor industry was generally difficult and it was built on relationships. Rather than just saying that we had a fantastic product, well it might be a fantastic product, but it wasn’t easy getting it to the buying groups” Tony recalled. “The big break we got was in 1991 when we got approved to supply (factor and accessory shop chain) Charlie Brown. A chap called Trevor Watson was the senior buyer and I remember they had been dealing with a company who had gone bust and they were having problems dealing with warranty and stock. So I did the presentation and they were a local company so I think it went down well”. The call came from the chain, but the senior buyer explained that the pressure on him was to go with a large and well-known brand. “So I said to him that he is welcome to come here with a big stick and watch over us every day if he liked” said Tony with a smile. While this didn’t quite happen, a quality control auditor named Derek Lockwood was sent to spend time at the firm. He must have been impressed with what he saw, because soon after his visits the newly-bought fax machine started spewing orders. “There was page after page” recalls Tony. “They had placed an order worth £50,000. The next step for us was to find the core…”. Somehow they did, and the order was completed, thus cementing the relationship. “On the back of Charlie Brown’s we started dealing with Motorworld so we had two of the biggest retailers throughout the UK, but these were mostly the public buying parts, rather than the trade” said Tony. 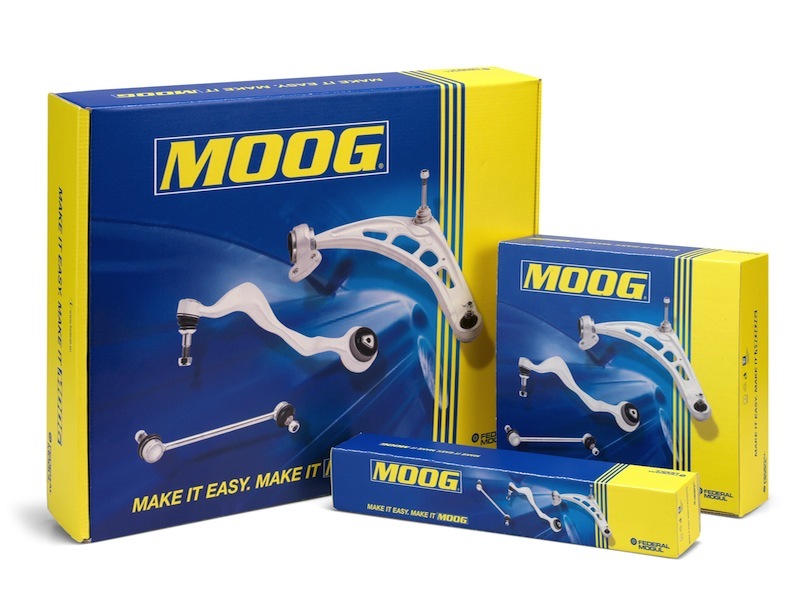 “The retailers wanted to just keep a few popular part numbers rather than stock the whole range – which suited, as there wasn’t nearly as many part numbers then anyway. Then Mr. (Chris) Swan started to shake up the industry. He bought both Charlie Brown and Motorworld and although he gave us the opportunity to supply Finelist, we decided against it at the time because we weren’t happy with the terms. That caused us a few problems”. While local trade and supply to smaller customers was brisk, the pressure was on to find new bulk supply customers. “We re-trenched and started developing our own identity and brand and developing the market further” said Tony. “At that time we started working with Delco- Remy in the USA to develop a presence in the UK. I actually met one of the senior chaps at the APRA conference in London and we started handling all of the European warranty for Delco-Remy. We’d be taking heavy non-road units such as the alternator for a Terex truck or a Caterpillar excavator that had a problem with the starter. We’d fill out a warranty report here and detail whether it was a manufacturing fault or due to abuse on the vehicle, so we were lucky at that time as Delco-Remy were expanding in the UK”. It helped that the firm were early adopters of industrial standards. The firm was one of the first to achieve BS750 and has since gone on to earn certificates for various ISO standards as well as the ‘Green Apple’ award for sustainable manufacturing. Not every contract was won though. Tony recalls losing out to a larger rival to become GMs official reman supplier. Nonetheless, the firm continued to expand, although it remains on the same site in Bradford where it has been since the early 1990s, which has been achieved by acquiring various adjoining buildings and connecting them together in various cunning ways. This has resulted in long walkways with doors that could lead out on to any one of a number of levels, not unlike the opening chapters of Alice’s Adventures in Wonderland. What is interesting to see is that despite the number of nooks, corridors and corners, all of the areas are very clean and well organised. Each location has computer-based identification so that nothing gets lost. Despite running near capacity, it is clear that lean management principles are obeyed: For example, fastest moving items are nearest the door and process efficiency is constantly monitored. On our visit Nicky Bhogal was busy adjusting some of the computerised test rigs, on which all of the firm’s output is checked. The rigs, custom made by D&V Electronics in Canada, are key to making sure even the newest start-stop rotating parts with built-in computing power and sensitive regulator packs are properly calibrated before leaving the plant. Speaking of leaving the plant, it is the end of our tour and we navigate our way back through the labyrinthine maze of passages. 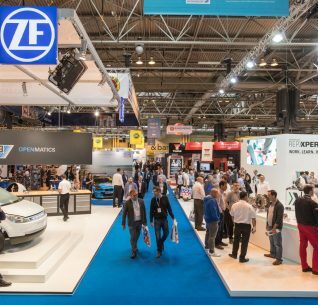 The motor industry has changed a lot since the days of Charlie Brown’s and Finelist, but you can be sure with the right level of investment in processes and facilities, remanufacturing will remain with us for a long time yet.